DETROIT, MI–The Law Offices of Debbie Schlussel, a Detroit-area law firm, today, announced the filing of a federal lawsuit against Imad Fadlallah, the Muslim man who was, until July, the principal of Dearborn’s Fordson High School, a tax-funded public high school, the student body of which is overwhelmingly Muslim (more than 90%). The suit is also against Fadlallah’s employer at all times relevant to the actions referred to in the suit, the Dearborn Public Schools, which, as noted in the complaint, was aware of the behavior alleged in the suit. As stated in the lawsuit, the action filed by Schlussel’s clients, Bryan Purcell and Georgene Stergalas, concerns the continued harassment of them by Fadlallah and other school personnel because they are Christian and not Muslim or of Arabic heritage. The suit was filed in the United States District Court for the Eastern District of Michigan. According to the lawsuit, Mr. Fadlallah is the cousin of the recently deceased Grand Ayatollah Sheikh Mohammed Hussein Fadlallah, the spiritual leader of Hezbollah, who issued the fatwah [Islamic religious decree] calling for the bombing of the U.S. Marine barracks and Embassy in Beirut, killing over 300 U.S. officials and Marines. Hezbollah is on the State Department terrorist list and is a “Specially Designated Global Terrorist Entity (SDGTE).” As also stated in the suit, Mr. Fadlallah is the son-in-law of Nabih Berri, leader of Harakat Amal [the Shi’ite Amal Militia], which has essentially merged with Hezbollah. As alleged in the lawsuit, Mr. Fadlallah gave students the day off and extra credit to campaign against Christian candidates in the City of Dearborn and in favor of Muslim candidates endorsed by his associates at the Arab American Political Action Committee. Purcell and Stergalas are award-winning teachers, both of whom have received national, state, and local awards, honors, and recognition for their teaching, and several of their students have also received national, state, and local honors, awards, and recognition. Both teachers created innovative, cutting-edge curricula for the Dearborn Public Schools District. Purcell teaches science and math, and Stergalas teaches business and marketing. Despite that, as alleged in the complaint, they were repeatedly harassed, and their work environment was hostile. As stated in the complaint, Ms. Stergalas was approached by a Muslim student who told her Mr. Fadlallah hit him, and he asked for her advice. She told the student to report it to authorities. As a result, the harassment of Ms. Stergalas, directed by Mr. Fadlallah, escalated. Included among the harassment described in the complaint, Mr. Fadlallah deliberately scheduled two separate classes during the same period of the day in opposite ends of the school building, making it physically impossible to comply with the schedule. This was done to both complainants, Mr. Purcell and Ms. Stergalas. As further alleged in the complaint, Mr. Purcell and Ms. Stergalas were deliberately assigned the worst students, in terms of discipline and academics, in a measure to drive them out of Fordson High School. And, as stated in the complaint, students were encouraged to cause problems and fabricate false, negative reports against Mr. Purcell and Ms. Stergalas. As also stated in the complaint, Mr. Purcell has Type I diabetes, and among Mr. Fadlallah’s means of harassment was to schedule Mr. Purcell’s classes at the times when doctors specifically noted Mr. Purcell needed to have his lunch break to take his required shots and medication and eat his required food, lest he go into shock. As also stated in the complaint, Mr. Fadlallah forbade Mr. Purcell from required shots and eat his required food during parent teacher conferences. The lawsuit claims violations of both the U.S. and Michigan Constitutions and statutes, including the First Amendment, the Fourteenth Amendment, the Civil Rights Act, the Americans with Disabilities Act, Michigan’s Elliot-Larsen Civil Rights Act, the Michigan Persons with Disabilities Civil Rights Act, and the Michigan Whistleblowers’ Protection Act. Both Mr. Purcell and Ms. Stergalas are seeking injunctive and declaratory relief, damages, and other relief. * Haitham Masri et al v. Ron Wolf, in which a Shi’ite Muslim doctor and open supporter of HAMAS and Hezbollah sued an indigent Jewish man, Ron Wolf, in an attempt to silence Mr. Wolf from talking about Mr. Masri’s unethical medical practices and the extremist Shi’ite mosque to which he belongs. Schlussel represented Mr. Wolf pro bono and prevailed in getting the lawsuit dropped, as it was little more than an attempt by a wealthy Muslim to squelch the First Amendment speech rights of an indigent Jewish man. Schlussel also exposed Dr. Masri’s fraudulent divorce, which was a transparent Islamic attempt to fraudulently convey property to avoid collection of judgments against him in American courts. Mr. Masri’s daughter, Lena Masri, is a lawyer for a militant Islamic “civil rights” group. * People/State of Michigan v. “Haidar” [real name redacted for security reasons], in which Schlussel successfully defended “Haidar,” a moderate Shi’ite Muslim who was framed for a violent crime because he voiced his support for Israel and opposition to Hezbollah and married a Jewish woman. Schlussel represented Haidar pro bono. He was an informant for Immigration and Customs Enforcement (ICE). Haidar’s primary accuser, Ali Taleb, is a wanted terrorist in Lebanon and an agent of Hezbollah, who lies in the Detroit area. After a two-day trial in which the judge severely limited the exculpatory evidence Schlussel wished to present in her client’s defense, the jury returned with two unanimous “NOT GUILTY” verdicts for Haidar, after less than 25 minutes of deliberations. Again, if you would like to support to the work of Debbie Schlussel, including legal fees and costs incurred in case of Purcell et al v. Fadlallah et al, you can either use the yellow buttons on the right, or you can prevent the PayPal fees by going to PayPal and sending it directly to: writedebbie@gmail.com. No amount is too small. Your support means more efforts like those described herein. If you would like to contact or consult the Law Offices of Debbie Schlussel, please e-mail Debbie Schlussel at writedebbie@gmail.com. My friend’s sons were attacked leaving Edsel Ford in their car–a car stopped in front of them, one to thier left w/a curb to their right, and one stopped behind them. They were pulled from the car, in broad daylight, in front of tons of people and got their asses kicked! They didn’t even KNOW the offenders! Cops were called, etc–the 3 cars of ”yemens” witnesses called them of course were gone. The cops agreed this was a HATE CRIME–did you read about it in the paper? NO. Hear about it on the news? NO. And you never will in dearborn–they HIDE all arabic crime–but whitey does the same thing? HANG EM! You should see what goes on INSIDE the schools–you’d pull your kids out in a heartbeat. 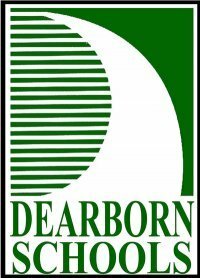 I just want to say that the dearborn schools logo has always been like that. For your information its not a crescent like Debbie would like you to believe. If you really look at it without trying to be racist you’ll notice its a path and not an education. This path can represent the path to education. You uneducated, mouth-breathing bigots are a disgrace to this great country. cos umik ya bint el mitnekah you’re a disgrace to every single one and every single thing in this planet. Wow, makes burning korans look like a GOOD IDEA! Thanks for everything you are doing to defend the followers of our Lord and Savior Jesus Christ, from the continuing 1400 year scourge of Islam. Donation on it’s way. I am a teacher from Egypt. I am christian. you ca not imagine how happy I am when I knew that some body there in America really understands what Islam is. This is not a religion. it is a trial to control humanity and lead it to pre civilization ages. I live in a village in Egypt where our Muslim neighbours killed 22 people in 2000 with cold blood with the help and support of the police forces and the criminals got away with their crimes hust because the victims were christians. In Aswan which is in the south of Egypt some days a go thousands of Muslims destroyed a church and they are preparing to kill many christians again with the help of the police and the army forces who consider christians as infidals who should be killed. The muslim shiekh ( Ishhaak Elheweni recently said on TV that the perfect solution to the poor Muslim countries’ financial problems, is to invade other non-muslim countries, kill their men and capture their sons and wives to sell them and get funds as what happened in the time of the profit muhammed. They are trying to dismiss all christians from Egypt. we are about 20 million christians in Egypt. Thgrough our history we suffered all types of brutality, killing, kidnapping our children and forcing them to ebrace Islam, and all types of persecuation. You can not imagine in the south of Egypt a lot christians in remote villages are treated like slaves who have no rights. we are killed and our properties are alllowed for them to steal and our women are raped without any protection. 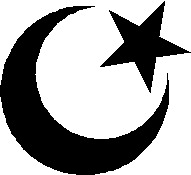 It causes us a great pain when somebody says that Islam ios a religion of tolerance. where is tolerance in Islam while we suffer brutality and killing all the time. Millions of Muslims in Egypt call Bin Laden a hero whose revenge should be taken. ASgain on behalf of all the copts( christians of Egypt) I thank you.